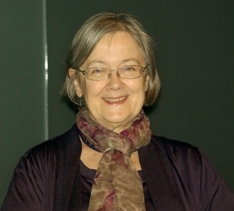 Supreme Court Justice Baroness Hale of Richmond is in New Zealand this week. She will give two public lectures. The first is on 5 May 2010 she will give the annual F W Guest Memorial Lecture at the University of Otago with the title “Justice for the Jains: Remedies for Bad Administration”. The title is, we believe, a reference not t0 the Indian religion but to the unsuccessful claim for damages for bad administration brought by Mr and Mrs Jain (see Trent Strategic Health Authority v Jain  UKHL 4). Incidentally, although the Jains were not able to obtain justice from the English courts, their application to the Court of Human Rights recently resulted in a “friendly settlement” which involved the UK government paying them £733,500 for damages and costs. Lady Hale’s second lecture is on 7 May 2010 she will be delivering the 14th Annual “Ethel Benjamin” address to the Otago Women Lawyers Society. Previous addresses have been given by a distinguished range of women judges and politicians from round the world including Justice Mary Gaudron from Australia, Chief Justice Beverley McLachlin from Canada. Ethel Benjamin was the first woman in New Zealand to be admitted as a barrister and solicitor, qualifying in 1897. There is a report of Lady Hale’s visit to New Zealand under the title “Breaking the mould of UK judiciary” in the Otago Daily Times. Professor Rosemary Hunter from the University of Kent has kindly made available to us a copy of an interview which she conducted with Lady Hale in 2007 and which was originally published in Volume 16 of the journal of Feminist Legal Studies in 2008. Leave a reply on "Lady Hale in New Zealand"